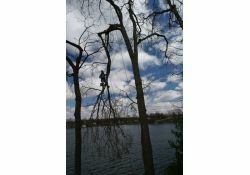 Often times people think that trimming a tree or removing some damage after a storm is a DIY project. And while sometimes it can be, many times it is unsafe or costly. The following are a list of common services that you should consider hiring a professional for—for your safety and the safety of those around you. © 2019 Youngs Tree Services LLC All Rights Reserved.